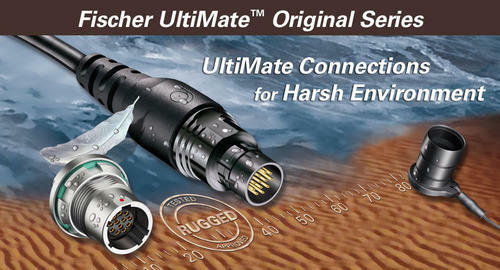 The Fischer UltiMate™ Original Series is specially designed for a broad range of harsh environment applications. Rugged, lightweight and compact Fischer UltiMate™ Original Series feature excellent EMC 360° shielding, extremely robust keying, IP68/69K sealing even unmated with Fischer cable assembly solutions. From our headquarters, primary design and manufacturing facilities located in Switzerland, we developed a worldwide network of subsidiaries and distributors to ensure best-in-class service and support to all our customers.